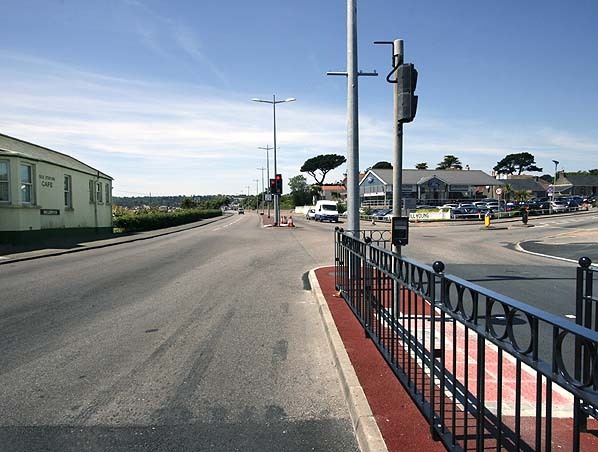 Present state: Demolished - the westbound carriageway of Victoria Avenue now runs through the site of the station. 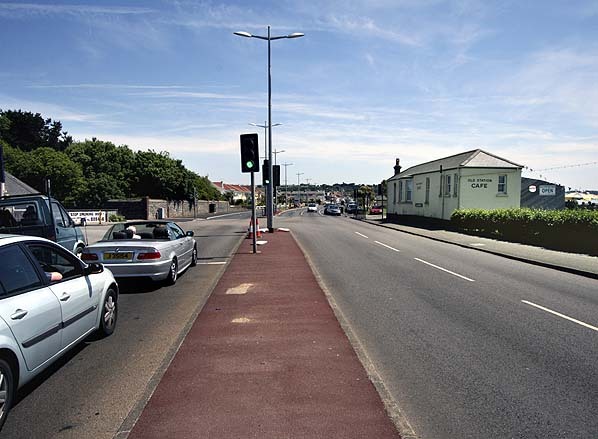 Notes: Millbrook was one of the original stations on the Jersey Railway opening with the line on 25th October 1870. 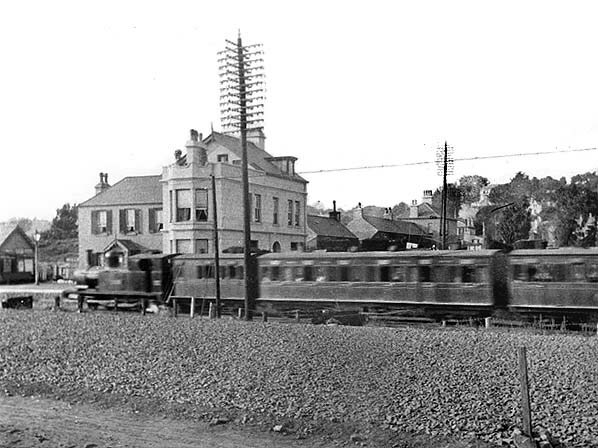 Being roughly the midway point on the original line between St. Helier and St. Aubin the station was provided with a passing loop but it is not known if the second (down) platform opened at this time or was a later addition. The timber station building was on the up platform with a two storey stationmaster's house alongside. 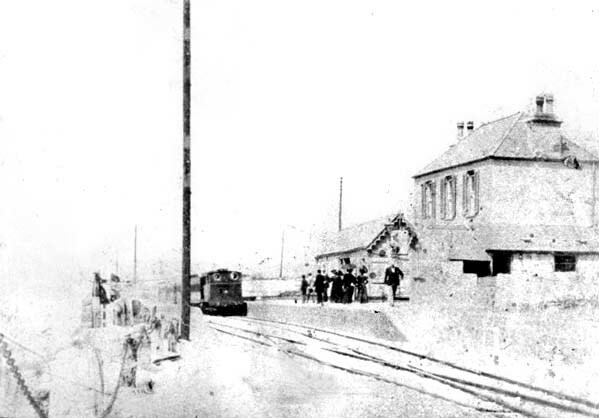 When opened the station had a timber platform, this was replaced in September 1877. In September 1910 the resiting of Millbrook a few yards to the south was approved to allow for the widening of Victoria Avenue. A siding was also approved at this time. The new station opened on 15th January 1912 although Victoria Avenue wasn't widened and extended west to Bel Royal until after the end of WW1. 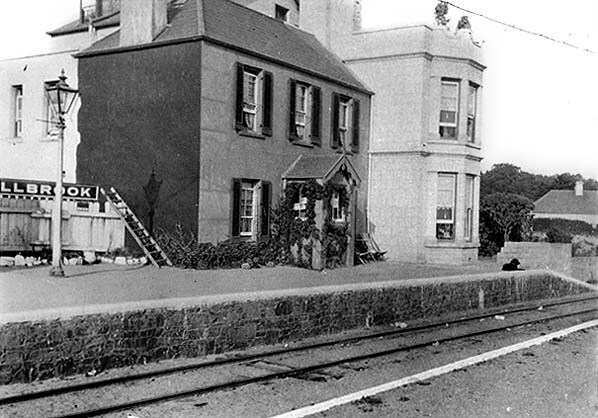 A very poor quality picture showing the station building on the up platform at the first Millbrook station. The building to its right is the stationmaster's house. closer to the shore line. The site of Millbrook first station looking east in June 2010. The second station building is seen on the right. The station was moved to allow for the widening of Victoria Avenue. The site of Millbrook first station looking west in June 2010. The second station building is seen on the left. The station was moved to allow for the widening of Victoria Avenue.